The first-class brand Fryskware was developed as solution for the usually bad fitting blankets on Frisian, PRE and Baroque horses. This type of horses is characterized by a sloping horse shoulder, usually resulting in a wider and/or deeper front (" Big Neck'). The horse needs more shoulder room than normal. It is extremely hard to find a perfectly fitting horse blanket. The technology of Fryskware finally solves this problem by the special cut of the Fryskware blankets in combination with the patented chest closure "FW45 Superfront". In close cooperation with owners and carers of Frisian, PRE and Baroque horses Fryskware has developed the patented FW45 Superfront. It is a solid, fourfold adjustable breast closure at an angle of 45 degrees, perfect fit! Another advantage of this patented system: the horse has enough space to graze. It goes without saying all Fryskware horse blankets meet the highest quality demands with regard to material, freedom of movement and breathability. The top material of the Fryskware outdoor blankets is made of cast-iron Oxford with an optimally breathing Teflon coating. It makes the blanket waterproof, showerproof, breathing and unbreakable. The Fryskware PURA has been developed with owners of PRE (Pura Raza Espagnol) horses. Characteristic of the PRE is the deep, highly developed neck and relatively compact body. Fryskware PURA fits perfectly on Frisian, PRE and other baroque-built horses. Fryskware PURA has a smooth, breathable lining according to the principle 'Stay silky, stay shiny, stay soundly'. This antibacterial lining is straw and dirt repellent and provides a shiny, well-groomed coat. Fryskware PURA is available in the Turnout (50 and 150 grams) with detachable neck (50 and 150 grams) and a liner (100 grams) that can be used as stable and transport blanket and with which the Turnout can be made warmer respectively to 150 and 250 grams. The Fryskware Perfect Turnout is available in 0, 100 and 200 grams with or without detachable neck. 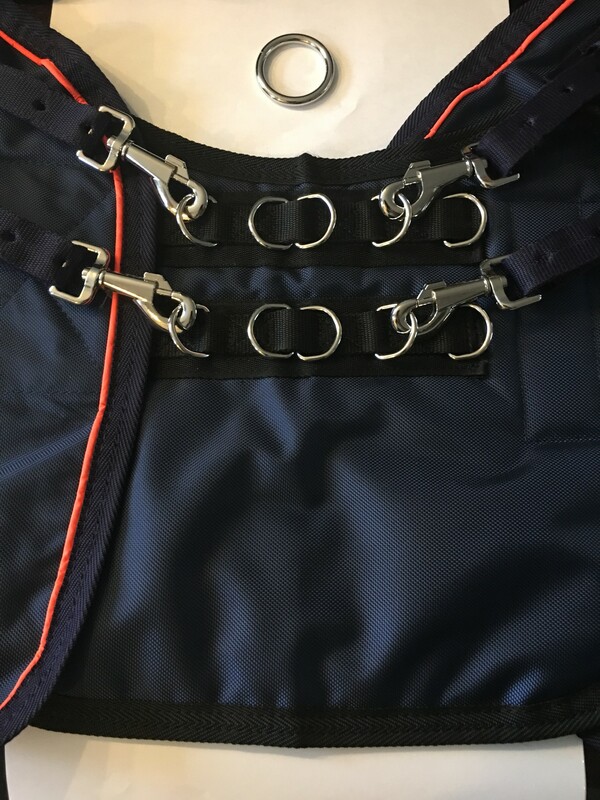 The Fryskware Perfect Turnout has an antibacterial, temperature-regulating lining according to the principle 'Stay dry, stay warm, stay cool'. The Fryskware Perfect Turnout can therefore be placed on a (lightly) sweaty horse.